Judge Frank Hampton McFadden was a U. S. District Judge for the Northern District of Alabama from 1969 to 1982, serving as Chief Judge for that court from 1973 to 1982. Mr. McFadden specializes in alternative dispute resolution, including arbitration and mediation of construction cases, commercial and business litigation and government contracts. After resigning from the federal bench, he was the Chief Legal Officer at Blount, Inc. (1982 to 1995), and then returned to the private legal practice. He was a lawyer and partner at Bradley, Arant, Rose & White in Birmingham, Alabama from 1958 to 1969, and a lawyer at Lord, Day & Lord in New York City from 1955-58. Mr. Frank McFadden served in the U.S. Navy and USNR, Ensign to Lieutenant, from 1944 to 1949 and 1951 to 1953, which included service on battleships and heavy cruisers in the Atlantic and Pacific Oceans and in Korea. He was an Assistant Professor of Naval Science, NROTC, University of Mississippi. Judge Frank McFadden was a member of The Brookings Institution task force which published “Justice for All: Reducing Costs and Delay in Civil Litigation” (1989) and was also an author of “CPR Legal Program Preventing and Resolving Construction Disputes,” Center for Public Resources (1991). 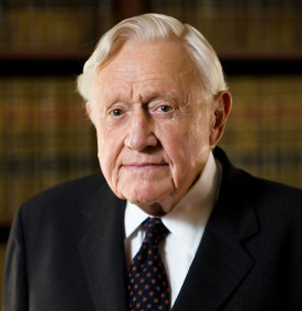 He has served on numerous bar association and ADR committees and judicial advisory groups, and was Chairman of the American Corporate Counsel Association in 1989. Mr. McFadden is a graduate of the University of Mississippi (B.A. 1950) and Yale Law School (L.L.B. 1955). He is admitted to the bar in New York and Alabama. Moses H. Cone Memorial Hospital v. Mercury Construction Corporation, 460 U.S. 1 (1983).